Thank you to everyone who has donated to zine fundraiser so far. 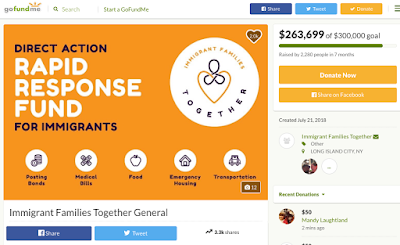 Since announcing the zine just a day ago, I've been able to raise $50 to give to Immigrant Families Together. 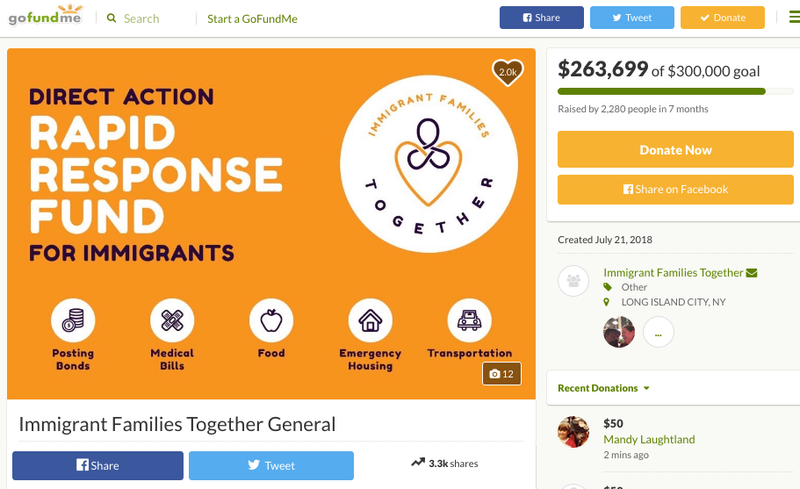 I just went to GoFundMe and made what I hope is the first in a series of donations made possible through the community of friends and artists that I feel proud to be part of. If you'd like to share info about the zine fundraiser, please do share my Instagram or blog posts--or create your own post if you like my project and tell people about it via social media, email, etc. I received two donations today directly because of my posts being shared. In particular, I want to say thanks to the Olympia Zine Fest for sharing my post on their Facebook page. I know that a lot of us are feeling disheartened, to say the least, with the political situation in the US, and it feels overwhelming to try and do anything to meaningfully respond to it. So I went back to what I try to do when I feel overwhelmed: I do a tiny thing that is within my power to do to try and help. I hope we can all do more of these tiny things because they really add up. I would love to hear about what you are doing. Are you writing letters via Resistbot? Are you supporting organizations that are helping get people out of detention centers? We all need to speak out, even if our individual voices seem small. We have to try and get kids out of cages and into safer situations with their families and friends.